Cafe Yumm in Eagle | Eagle Idaho Real Estate | Think Alei. Eagle is always on the rise and this year seems no different. I learned last month about a new Eagle restaurant specializing in meals prepared with locally sourced ingredients. Its planned opening is next Monday. If you are a lover of vegetarian and organic food this is a welcomed option. Founded in 1997, Cafe Yumm! has locations across Washington and Oregon, with the Eagle location being its 23rd. The restaurant will be the first Idaho location for the company, and it will be the first store to feature a kids’ menu. According to the company’s press release, it will incorporate an expanded menu later in the year. Café Yumm! specializes in customizable bowls containing organic, fresh vegetable, and gluten-free options. The “fast-casual” franchise is the first of three planned locations in the Boise area. Even though the restaurant will begin serving take-out and dine-in clients soon, it is going to host an official ribbon-cutting ceremony in mid-February. 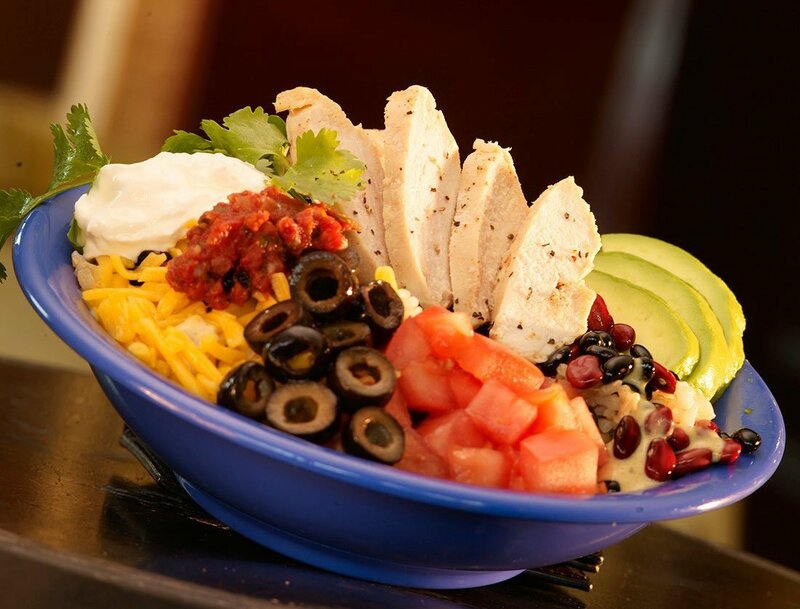 The bowls includes organic brown rice, black beans, salsa, and many different fresh fruit and vegetable toppings. The menu has gluten-free, vegetarian and vegan options available. Over 50% of the meals at Cafe Yumm! are certified organic. Restaurant regulars elect for extras in their bowls like chicken breast or organic tofu. I’ve heard to not skip the “Yumm Sauce”. It’s a dressing that “brings everything together in yummy harmony,” according to one regular. (Interesting…that’s how I feel about fry sauce.) The regulars drool over it and in Oregon it’s jarred and sold at grocery stores and at Costco. The company says the experience is all about a flexible dining experience which “nourishes body, mind and soul.” The location was chosen because “Eagle is a wonderful growing city” with great weather and the perfect demographic and lifestyle mix. Lakemoor is a lively neighborhood spot with bike paths, walking trails, and a good income level for restaurant patrons. (The shops at Lakemoor are in the same parking lot at T-Sheets.) Other neighbors include F45 fitness, a new movie theater, and a yoga studio – perfect matching for wholesome, fresh meals. Along with indoor seats, Cafe Yumm! will have outside tables with a fire pit and also a drive through. Cafe Yumm! started in downtown Eugene, Oregon in 1997. Before it started franchising in 2007, there were only two restaurants. All locations serve dinner and lunch seven days per week. I have a feeling that this might become one of my favorite places to meet clients or meet friends. I’m excited. This is my type of restaurant. If you’re in Eagle and would like to learn more about our wonderful city, I’d love to meet you at Café Yumm! Let’s talk about your real estate goals. Feel free to reach out to me at any time at 208-573-1619. Get to know one of Eagle’s leading real estate agents. Alei Merrill is renowned among colleagues and clients alike for her integrity, loyalty, fun attitutude, and professionalism.